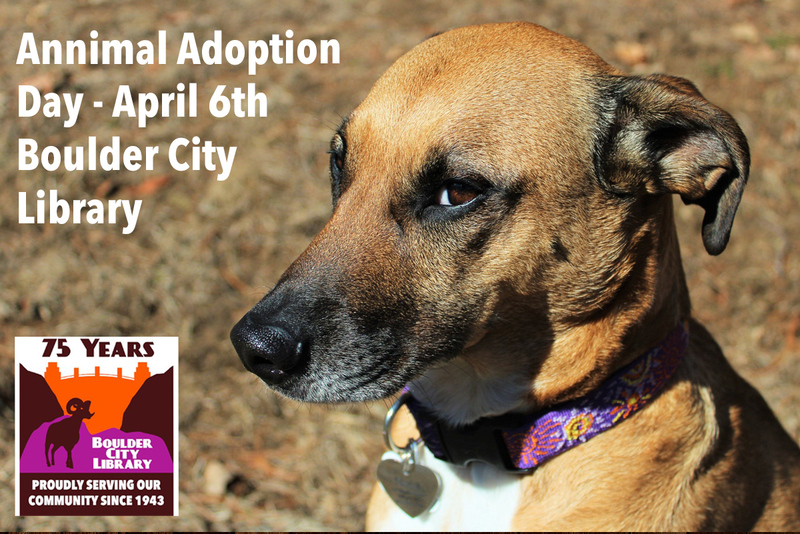 April 6th – 11am Animal Adoption Day: All Ages, Library Amphitheater. Come adopt an animal, learn what services are available for Boulder City pets, and get your pet registered with the city! April 7th – 2pm Local Author Poetry Reading: All Ages, Community Room. Celebrate National Poetry month with poetry readings by local poets. April 15th – 1pm Movie: Fantastic Beasts: The Crimes of Grindelwald (PG-13): Community Room, Ages 13+. Please feel free to bring blankets, folding chairs, snacks, and drinks! April 18th – 6pm Romance Book Club: All Ages. Held at the Dillinger, this book club will focus on Romances. An appetizer will be provided, but attendees are welcome to purchase their own meal and/or drinks. April 26th – 5:30pm After Hours Movie: Green Book (PG-13): Ages 13+, Community Room. Please feel free to bring blankets, folding chairs, snacks, and drinks! April 27th – 1pm – 3pm: Local Author Fair. All Ages, Community Room. Visit some of our local writing talent. See the full listing of all events at the Library for the month of April on their web site HERE. Got Late Fees? For each canned or packaged food item, $2 in late fees will be taken off your account. This does not include fees for billed items or collection agency charges. Check with Hillary for questions.